Mark practices out of Tarle Law's Texas Office, located in Austin, Texas, representing many clients throughout the state. He has extensive background in insurance defense litigation and is experienced in trial and appellate matters. He has litigated on many issues, including contract disputes, real estate fraud, mineral royalty disputes, criminal matters and constitutional questions. He has successfully argued before the Texas Court of Appeals, including the Texas Court of Criminal Appeals Court. 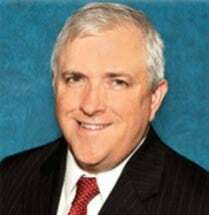 He has tried several cases before a jury to verdict, both as first chair and second chair and has successfully settled large personal injury claims. Mark's previous experience in the corporate industry provides him a unique understanding of issues that often arise in litigation. It is this experience in litigation that allows him to navigate the pitfalls that may arise in representing his clients. Mark has successfully negotiated the merger and/or acquisition of ongoing business entities, including an international client. Prior to moving to the Austin area, Mark served as President of the Board of Trustees for his local school district. He also enjoys volunteering within the community that advocates for the education of children.